Leading Manufacturer of stamping foil and hot stamping foil from Dadra. 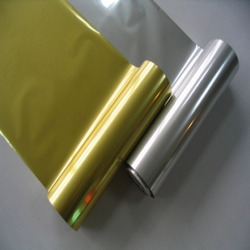 We are among the prominent manufacturers, suppliers and traders of premium quality Hot Stamping Foil. 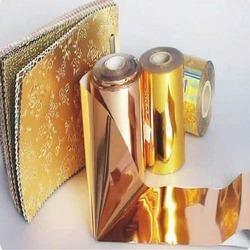 These foils are processed from the finest quality of raw materials that is obtained from trusted vendors. Manufactured as per industry set standards, the offered foils are widely used for hot stamping of different materials. As per the specification provided by our prestigious customers, these foils can be custom designed. Looking for Stamping Foil ?